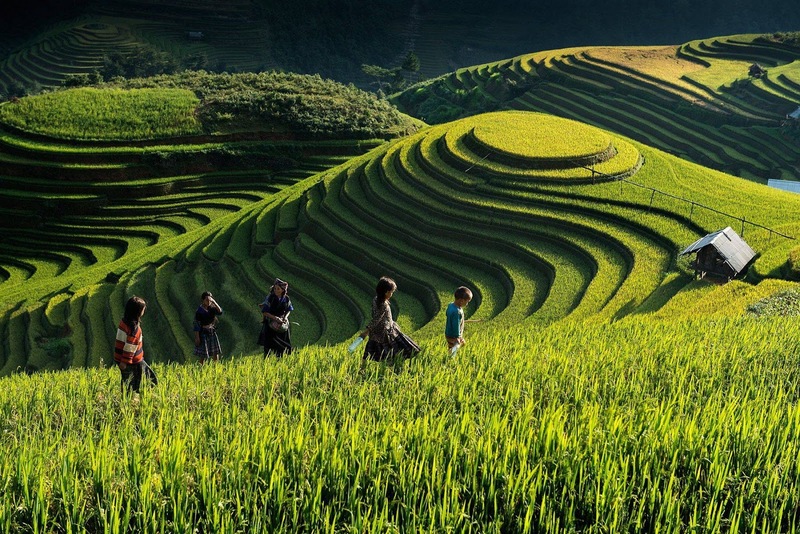 When approaching to the mountainous region of the northern Vietnam, There are several places have become popular for travelers including Sapa, Mai Chau, Mu Cang Chai, Moc Chau,... They have the general features when owning the rugged terrain with many high mountains. Their natural beauty and peaceful atmosphere are what might captivate those coming there for the first time. 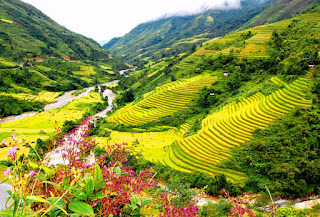 However, if you are looking for a other place for your new adventure in this unique mountainous region, Muong Luong will be an interesting suggest for you. Located at the foot of Khau A Mountain, around 30km northeast of downtown Lao Cai, Muong Luong is a valley which is surrounded by mountains and home to Tay ethnic minority group. Like some other destinations in the region, thanks to its natural beauty and peaceful atmosphere are what might captivate those coming there for the first time. 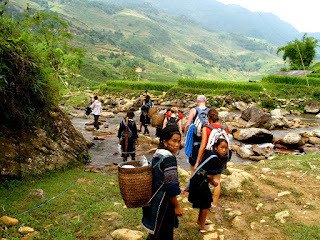 Thanks to it, Muong Luong is highly recommended as a destination for tourists to Vietnam’s northwestern upland. Upon arrival at the site, you can indulge yourself in a tranquil place with cool climate and fresh air. You can also learn more about local culture as Tay ethnic people have preserved their traditions and folk culture well. Muong Luong is attractive to tourists thanks to its unique cuisine. Some of the dishes which visitors should eat are chicken fried with pickles, sour soup, and grilled spring fish. You can taste local dishes and take a close look at some of nearly 100 traditional homes on stilts by Nam Luong stream, which create a poetic landscape. These houses were built 60-70 years ago. 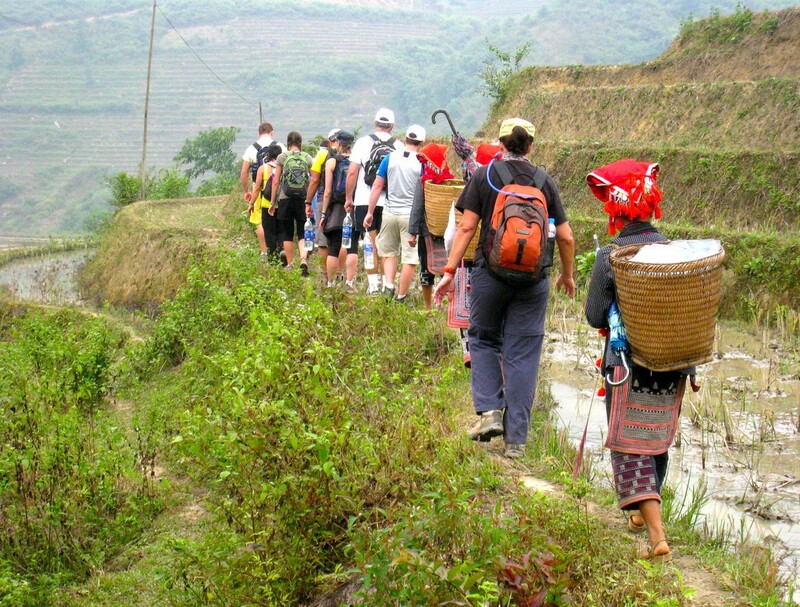 All year round, you can take a leisure walk on pathways to explore the daily activities of villagers. Tay people are friendly and hospitable, so you can drop by a house on stilts to have a look. Tay ethnic people are ready to perform folk dances to entertain you. Do not hesitate to innovate your journey for the potential places that you might be the first people discover it. if you are adventurous and always look for the new things on each trip, innovation, in this case, is your right decision. To make sure all things are always perfect in your journey, do not forget to contact us when you thinking about the journey. 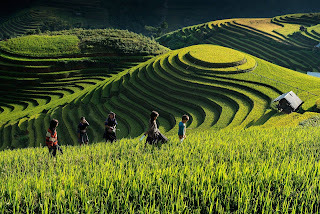 Tag: Discover the mountainous region of the Northern Vietnam, Mai Chau Tours, Mu Cang Chai Tours, Muong Luong Tours, Northwest Vietnam Tours, Sapa Tours, Vietnam Package Tours.